Steak is delicious and can be a great treat. Ribs are decadent: time-intensive, but totally worth it. Chicken is a classic, a blank canvas that can taste like whatever you like. All of these, though, require investments in time and money, and sometimes you’re just not interested in that much work. Burgers can be fantastic while requiring little work and they’re pretty easy on the wallet. A good burger is about as close to perfect backyard grilling food as there is. It’s simple, tasty, and just about everyone is a fan. 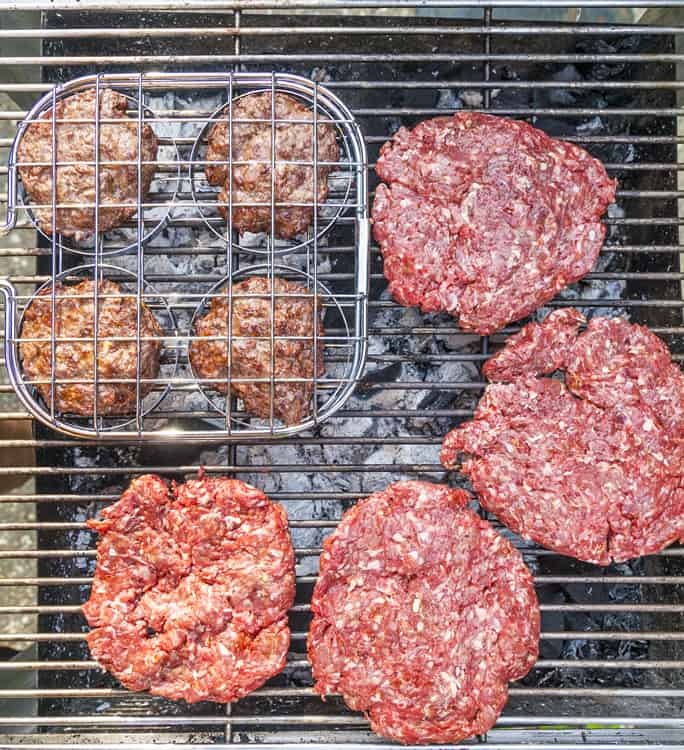 It’s hard to mess up a burger, but if you want to take your grilling game to the next level, there are a few simple guidelines to keep in mind. Regular ground chuck may not be the best choice if you’re looking for a high-quality burger. You can tell the difference between the regular chuck and the grass fed stuff that’s a little more expensive. The fat content of the meat is also going to have an effect on the taste. A fat content of between 15% and 20% is going to be best and keep the meat tasting juicy. The juicier the meat, the better the taste. 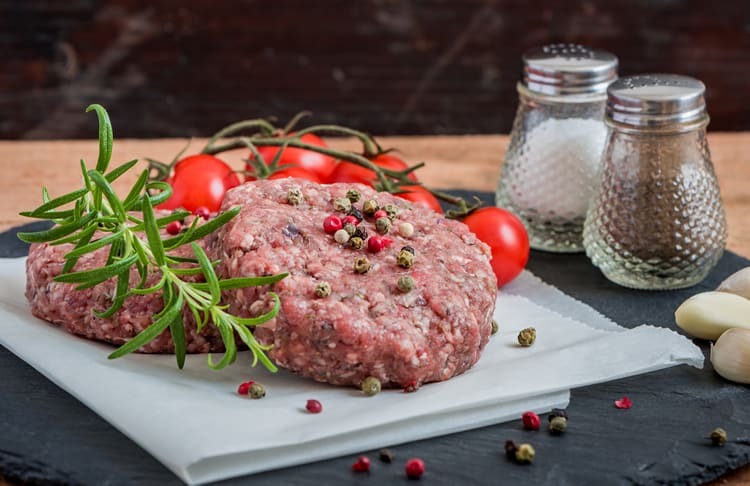 Ground chuck does tend to have a higher fat content, and so it can make an ok burger. Even better is to mix half chuck and half sirloin to get the best of both worlds: juicy and delicious. You want to avoid frozen or lean beef. Both of these may less expensive, but you’ll have to load it with ketchup and mustard, or it will be flavorless. 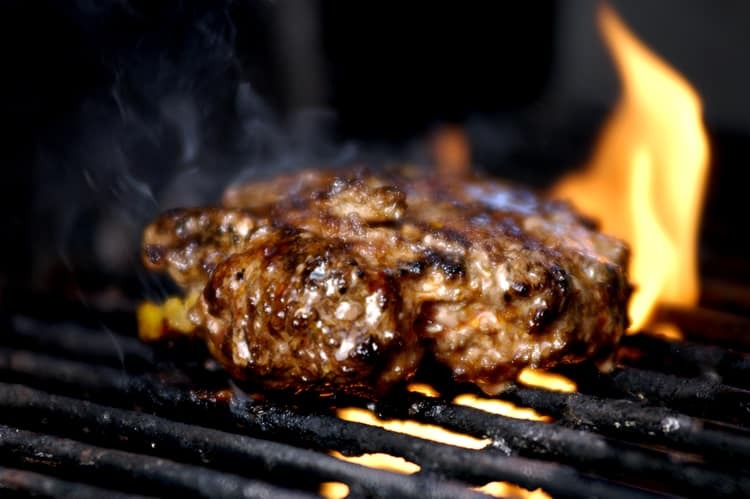 A popular trick is to put a pat of butter, either on top of the patty when it is first grilling, or inside the meat. The butter melts, keeping it juicy by adding some fat content. A similar effect can be had, with less fat, by adding a couple of teaspoons to the meat. It will be juicy, but not be quite as rich in flavor. Another option is to use other, more flavorful meats, which will have a lower fat content. Bison burgers are popular, as are turkey burgers. You can try other varieties as well. Game animals are likelier to have flavorful meat. When you make the patties, handle them as little as possible and keep them cool. Some people go so far as to rinse their hands in cold water, so they don’t heat the meat in forming the patties. This is because heat emulsifies the fat, breaking it down, which can make the meat rubbery and give it an unpleasant texture. The tendency to add a lot of stuff, onions, and seasonings is natural. But it’s probably not a great idea. You’re disguising the flavor of the meat with add-ons when what most people want is a burger. Add some salt and pepper, and then leave it alone. The grill should be clean and oiled before you start cooking. 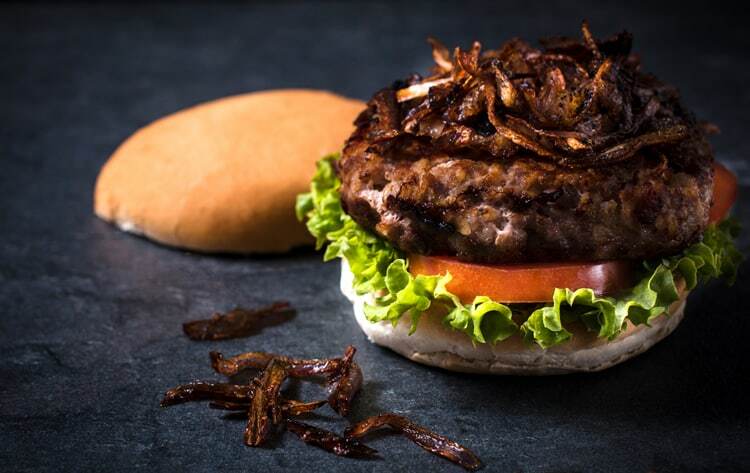 Char on the grill doesn’t add flavor, it just adds carbon that can be unpleasant and absorbs heat that would otherwise go to cooking the burger. The grill should also have been heating for at least 15 minutes before the meat is added. Putting the meat on a cold grill will not allow your meat to get that nice brown color and takes longer to cook. It can also result in that rubbery texture mentioned above. This is more of an issue with gas grills than with charcoal grills. A burger should be started at a high heat. This turns the outside brown and adds the char patterns that are the sign of an expertly grilled burger. However, high heat can go on to burn the outside of the burger while leaving the inside underdone. The solution is to have two ‘zones’ for grilling. One should be a higher heat area where the burgers are started. The other should be lower heat, using indirect grilling, for finishing the burgers once the outside is nice and brown. Another tip is to leave some room on the grill. Grease drips cause flare-ups that can burn the food. You want to be able to move the burgers around to keep them out of direct flame. An important tip, when cooking any meat, is to turn it as little as possible. Only once, ideally. When you turn the meat, the juice will collect at the top. Turning it means that the juice is lost to the flames. The more you turn the burger, the drier it will be. The first thing to do when you’ve finished grilling the burgers is not, unfortunately, sliding it in a bun and chowing down. Let it sit for a moment and cool just a touch before you eat the burger. While you’re letting the burger sit, you can grill your buns. A quick moment on the grill, maybe with some butter, can turn a so-so burger into a great one, and a great one into a masterpiece. A grilled bun has a texture that adds something to a basic burger. This is also an opportunity to add all that stuff that you didn’t mix into the meat. Onions, particularly grilled onions, can be great. Ketchup and mustard are a classic while bacon is fantastic. There is a whole list of things you can add to the top of your burger, from basic condiments to crazy add-ons. Experiment a little to find what is right for you. 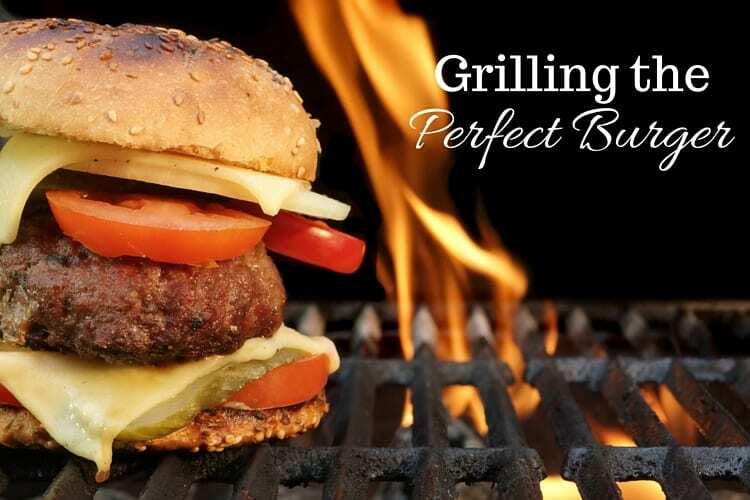 Cooking the perfect burger takes practice, and is much of an art form as sculpture or painting. But follow a few basic tips, and you can be well on your way to creating your culinary masterpiece.